Originally from Germany, Chris was a professional windsurfer for years before he began medical studies at Kiel University. In 1993 Chris moved to Australia where he studied natural medicine. He earned his Advanced Diplomas in Naturopathy, Nutritional Medicine, Western Herbal Medicine and Homeopathy in 1998 from the Australian Institute of Applied Sciences, and his BHS in Complementary Medicine from Charles Sturt University. 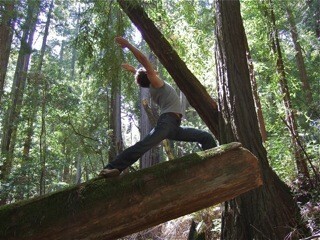 On his yoga journey Chris has been influenced by his friends and teachers. Some of the teachers who have contributed greatly to his body of knowledge are Yogacharya H.S. Arun (Iyengar yoga), Clive Sheridan (hatha kundalini, pranayama), Peter Clifford (therapeutic yoga, 5 element yoga), Emil Wendel (pranayama, philosophy), Louisa Sear, Matthew Sweeney and David Muehsam (astanga vinyasa) and Judith Lasater (restorative yoga). 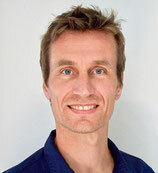 Chris practiced natural medicine, with an emphasis on bodywork for 11 years in Australia. The style of bodywork Chris practices focuses on soft tissue based structural alignment. He is influenced by the ideas of Bill Hatchard, George Gebhard DC and Egbert Weber DO, as well as by many other soft tissue manipulation techniques. 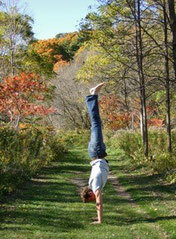 Chris’ naturopathic background and his passion for yoga led to his specialization in yoga anatomy. In addition to workshops, he has been developing and teaching curricula for yoga teacher trainings for over 18 years. To make learning movement anatomy more accessible Chris developed the AnatomyShow online courses to share his knowledge in the same easy to understand and practical approach. Click here to see the online courses. A few years ago Chris co-developed KindaYoga, a video method to introduce young children to yoga and health through interactive exercises, storytelling and play. You can take a look at KindaYoga by clicking here. Chris is currently based near Toronto, Canada where he teaches yoga and offers bodywork treatments and consultations at his home studio/clinic. He continues to travel around the world to teach yoga anatomy workshops and movement anatomy curricula for yoga teacher trainings.